Four top tech start-ups in the region got the chance on Tuesday to pitch in front of a group of seasoned investors for a top prize of $10,000. 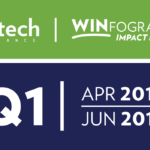 The start-ups are the second cohort to graduate from the ScaleUP Tech Accelerator program launched by WEtech Alliance and generously supported by the Ontario Trillium Foundation (OTF). ScaleUP is the first and only accelerator program dedicated to scaling tech companies in Windsor-Essex and Chatham-Kent. 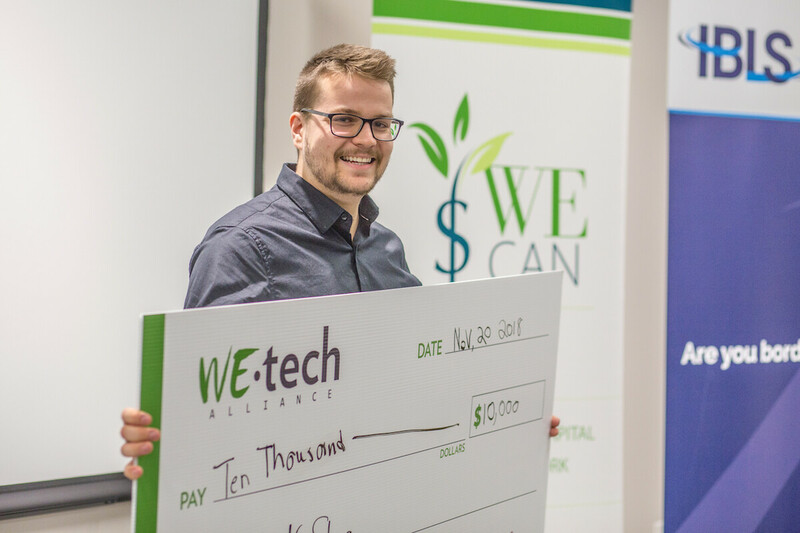 “Windsor Essex Capital Angel Network (WECAN) investors are pleased to partner with WEtech, Libro and others to provide an opportunity for regional startup companies to develop and present their best company pitch and to help communicate the investment opportunity their team and company represent,” says Colin McKillop, Executive Director of WECAN. The winner of the top prize was Kegshoe. Applications for the third cohort will open in summer 2019. Kegshoe – Kegshoe has developed unique tracking software for breweries, distributors, and restaurateurs to track where specific kegs are located throughout the supply chain. Door to door tracking of this kind ensures beer mugs everywhere are never empty, and provides a novel solution to one of breweries biggest pain points. Kegshoe is also developing a special customer relationship management software for breweries to introduce high tech into one of the world’s oldest beverages. Sarjan – Sarjan is an augmented reality program geared at aiding physiotherapists in assessing patient progress, as well as teaching patients the proper way to exercise and stretch in the proper ways. Sarjan uses AI and camera technology to track movements, track progress, and deliver custom rehabilitation programming based on real time feedback and data. 42 North Integrated Marketing – 42 North is the first of it’s kind in the Chatham-Kent area, a full top to bottom solution for marketing and creative production. From content and website creation, to full studio photography, audio, and videography, 42 is a company on the cutting edge of their field, and are fully enabled by the advanced tech they employ to deliver premium services. They even have an algorithm that helps to create content using keyword density to really take SEO to the next level. Cedar Valley Selections – Cedar Valley Fattoush Dressing is the first of it’s kind in Canada to pop-up on grocery store shelves. The tech magic comes in the form of how Cedar Valley manages to keep up with the demand for their product, and throughout the cohort, will be installing solid tech systems of scale, ensuring that as they expand into new markets, the inevitable growing pains will be addressed head-on.